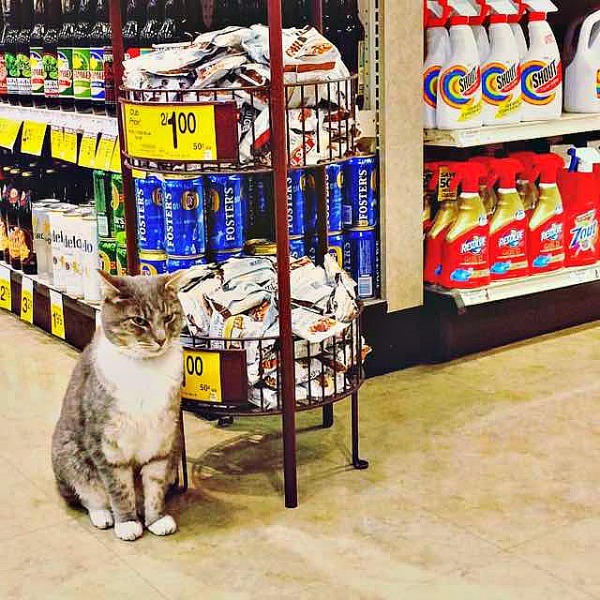 If you are visiting Portland in Oregon, you should head to the local Safeway store to meet Cecil the cat. He goes to the store almost every morning to greet the customers. Sometimes, he waits by the door to greet everyone who walks in from the parking lot. 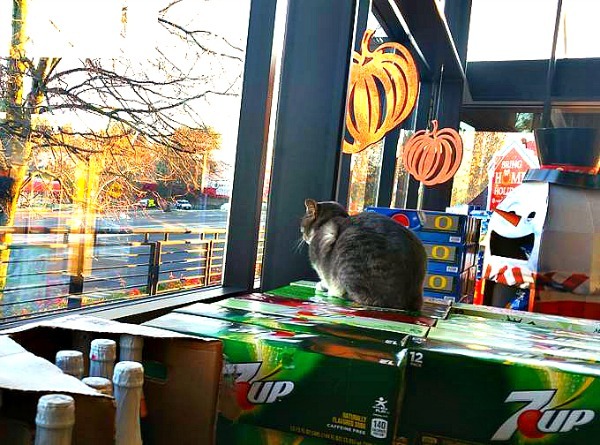 At other times, he is napping away on top of a stack of soda boxes by the window. Cecil is almost always the first customer of the day and waits for the counter to open. Many customers wonder if the cat is lost, so they call the number on his collar. They then get this message: "If you're calling about Cecil at the Safeway, don't worry. He just likes to hang out there. He lives nearby and will find his way home when ready." Just like the store cats of Tiverton and Saltney, Cecil has become quite a celebrity and even has his own Facebook page. Kisses, my friend! Have a lovely month! We read about Cecil on Facebook. He has a cool job. 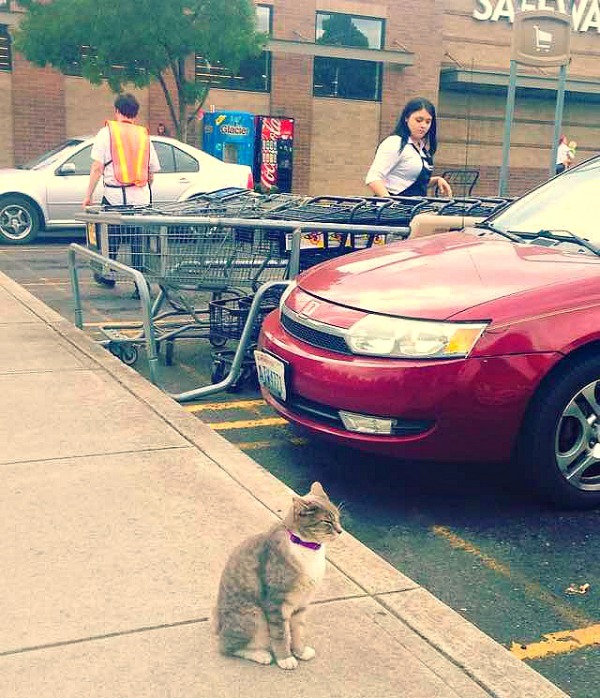 What a sweet cat to do the meeting and greeting for the Supermarket's customers. Cecil is a lovely addition to a grocery store, although I imagine there are some folks who object. Clearly not cat lovers, though! Aww! he's keeping his eye on the store making sure all in order heheh! I would love to be greeted by Cecil, I wonder, does he let you pet him. 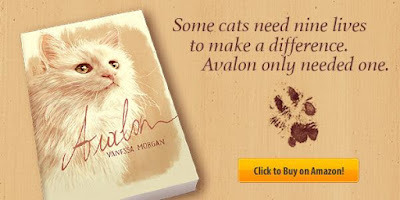 Thanks for caring about the kitties and helping!!! Purrs and hugs. Why don't we have cats this cool where I live?! I want o go to Portland just to meet this cat! That's a very nice looking and helpful kitty! 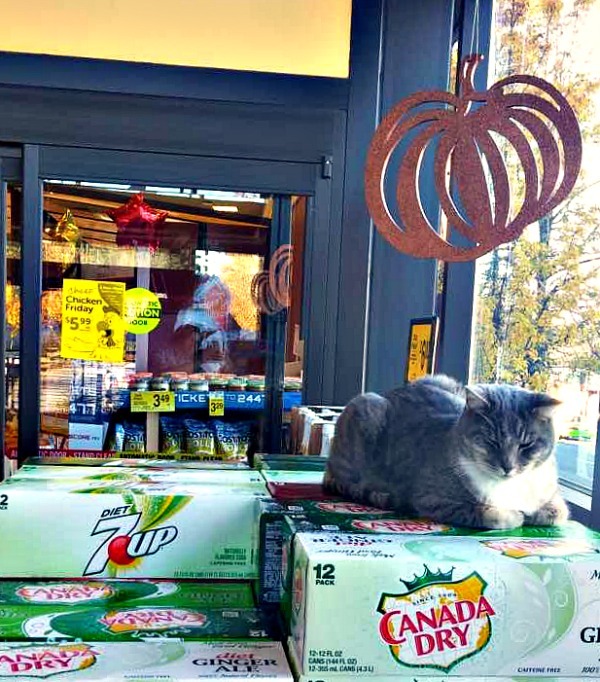 It's unusual, and nice, that the Safeway allows Cecil to hang out there. Good for them. Very nice pictures. It's great how so many people support cats. Which Safeway?! I want to go!! There are many. Awesome for you to donate! LOL! I love the recording. The cat knows where to find food. Oh, that is funny that he loves to hang out and his family actually knows where he is! That is so cool that the cat goes into the stores like that! Cecil is such a cute boy! I love encountering cats in the most unexpected places. It's always a great surprise! Oh Cecil is adorable. I bet he gets lots of good snacks. That is a cute little story! I would love to get that message. Those are some beautiful cats. I always like it when they have collars on too because it means it's not a stray. Though my friend has two cats and neither has collars because they never go out. So maybe they are owned. Oh, my !Such lovely adorable pictures. How cute is this! Thanks for sharing at My Flagstaff Home! So special! He is so cute! My peeps would probably be shopping at Safeway every day just to get to visit with Cecil. What a cutie! Thank you for sharing him with us at Photo Friday! Nice! 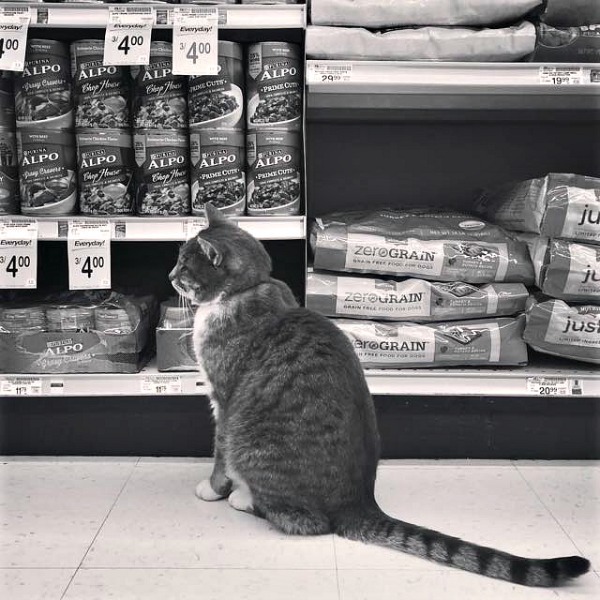 I would love to go shopping in a place where there is a cat. Have a nice Sunday! They won't let him back in anymore!! According to facebook page let Cecil back in the Safeway Please.